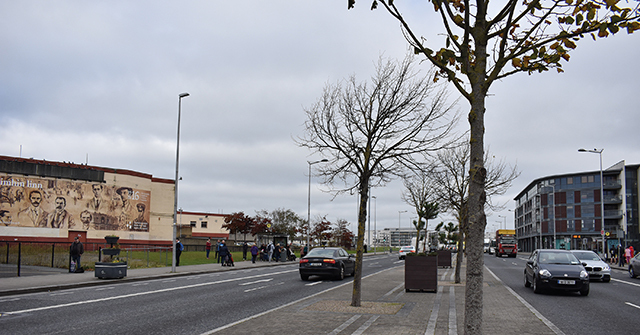 Dublin City Council announced that they will purchase 92 homes in the Hampton Wood estate in Ballymun, as the housing crisis continuing to dominate political discourse in Ireland. Many have demanded that the supply of housing be increased to solve the housing crisis. It is hoped that this acquisition will help to ease the incredibly high demand that exists for homes in the city. The Deputy Chief Executive, Housing and Community at Dublin City Council, Brendan Kenny said: “This opportunity would not have arose if the developer had not put these dwellings on the market.” He added that such opportunities are rare in the current housing environment. Ires Reit, Ireland’s biggest private landlord, bought 128 apartments at Hampton Wood back in May at a price of €40 million. On their website, they offer one-bedroom apartments to rent at Hampton Wood from €1,550 per month. The council paid €35 million for the homes, which is about €380,400 per unit. In a recent article by The Irish Times, questions were raised about the price, “A three-bedroom house is currently on sale in the same estate for €264,950, while a two-bed apartment has an asking price of €185,000”. According to the Central Statistics Office, residential property prices in Dublin have increased by 7.2 per cent over a 12-month period to July of this year. In August, The Economist Magazine suggested that houses in Dublin are 25 per cent overvalued. Kenny also addressed complaints that more social housing is not appropriate for the area, which is already dominated by social housing. “We are very aware of the level of social housing in the area but we do have a housing crisis in Dublin currently and there is significant high level of demand from households on the waiting lists for housing in these areas,” he said. The Department of Housing, Planning and Local Government released its monthly Homelessness Report for September revealing that there were 6,809 homeless people living in Dublin.